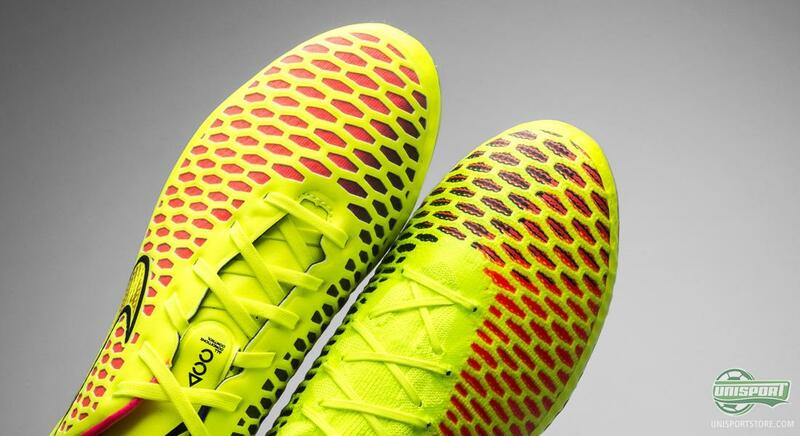 Nike Magista Obra vs. Opus: What are the differences and likenesses? After a long wait it is now possible to pre-order the brand new Nike Magista Obra, but the Obra is not the only model in the Magista-collection. 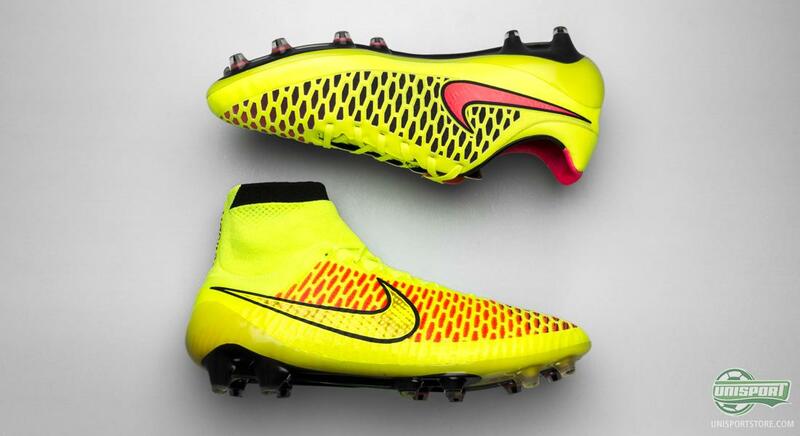 Nike have developed several other boots and where the Obra is made with the well-known Dynamic Fit Collar, the other models are slightly more traditional. We now match up the Magista Obra and Magista Opus, so we can better explore the likenesses, as well as the differences. 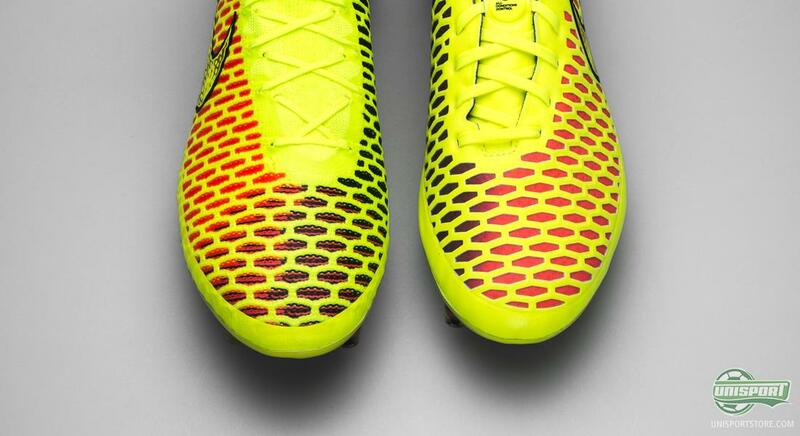 When you look at the Magista Obra, the first thing you see is naturally the Dynamic Fit collar. The tall ankle sock makes this a football boot unlike anything you have ever seen before. The material used is Nike’s Flyknit technology. The result? 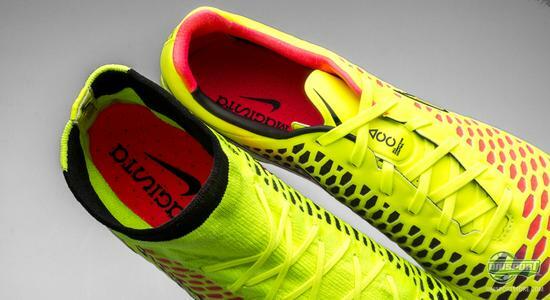 A completely unique football boot, because the Magista Obra is the only boot in the collection with this technology. You can order the Nike Magista Obra right here - €275. Because while the Obra will be the model you see on the feet of stars like Andres Iniesta, Götze and Christian Eriksen, the Opus has neither Flyknit, or high ankle sock. 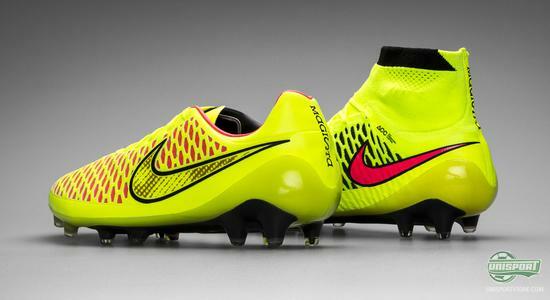 You can also order the Magista Opus here. As we well know the Magista-collection means that the otherwise loved CTR360-series goes out of production. But it does however not completely spell the end for the former control king. Magista Opus is made with the same upper, as the popular CTR360 Maestri; Kanga Lite 2. Adding to this Nike have used the honeycomb-looking upper construction, which we know from the Obra. This gives the Opus a feel, which is just as excellent as the CTR360 Maestri. The Opus is not made with Flyknit like the Obra, but Nike have still added two of their most characteristic technologies to the boot. They are naturally the NikeSkin and ACC. 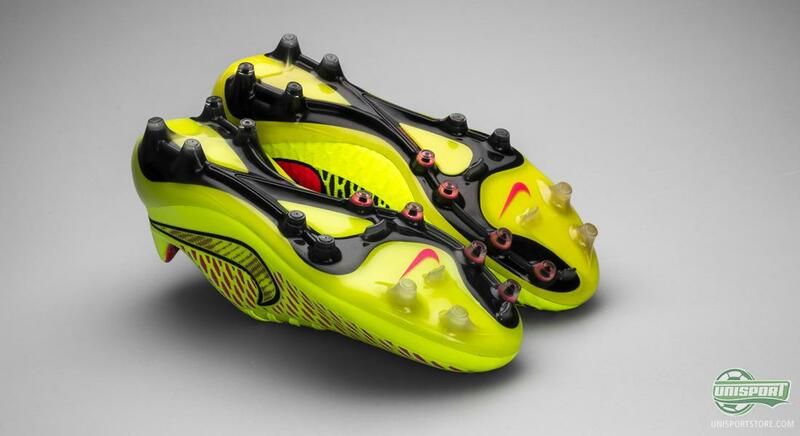 NikeSkin helps to improve the boots durability, as well as providing a smooth surface. At the same time the ACC (All Conditons Control) means that no matter if you are playing in dry, or wet conditions, your grip will never falter. 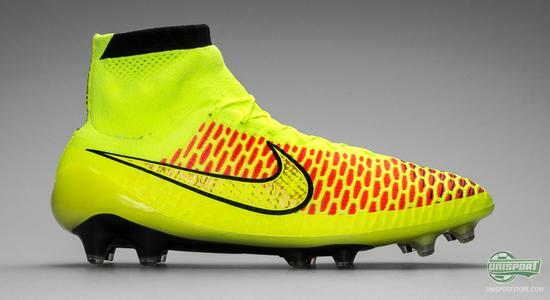 you can order the Magista Opus right here. One of the area’s, where the Opus and Obra go hand in hand is the last of the boot. Nike have been very successful with their new anatomically GF13 last, which both the Hypervenom and Tiempo are built around. This last is therefore also used on the entire Magista-collection. Worth noting is however that Nike have chosen to widen the boot a little around the midfoot and made it slightly tighter around the front foot. Nike have done this, because they found out this construction gives a tighter and more natural fit. Another thing similar about the two boots is the bottom part of the boot, which is made with this lightweight nylon and PEBAX sole. This soleplate is made to strengthen the grip in the ground, while still providing the necessary flexibility that a midfielder needs. To add to this particular feature, the Opus has the same conical studs as the Obra. With this boot Nike have really gone to great lengths to ensure you get the most movability possible and this is naturally also why the American brand have gone with the round studs, which move more freely through the ground. All in all the Obra and Opus are not far from each other. There are however two very characteristic features that mean the boots can’t be called one-egged twins, but rather an older and younger brother. There is no doubt that the Magista Obra stands out from the crowd, but is the ankle sock not your thing, or are you not a fan of the flyknit, then the Opus is a top quality boot on par with the former Nike CTR360 Maestri III. 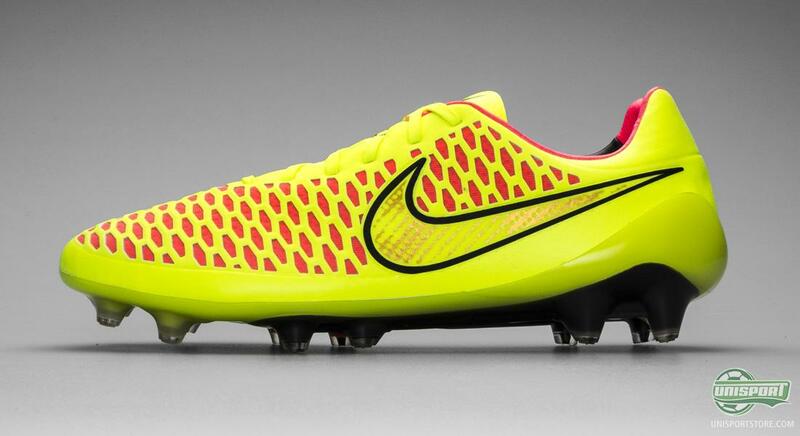 You can order the Nike Magista Opus right here. It can be quite tricky to figure the two models out. This is also why we have taken the two alternatives from the Magista-collection and faced them off like this. You can definitely see the differences, but there is no doubt that the two boots are quite different. Now that you have heard the differences and similarities, which one are you likely to go for? Magista Obra or Opus? Let us know in the comment-section down below.